Wm. Penn was a gas brand of Canfield Oil Company of Cleveland, Ohio. SOHIO purchased it in 1945, but the Wm. 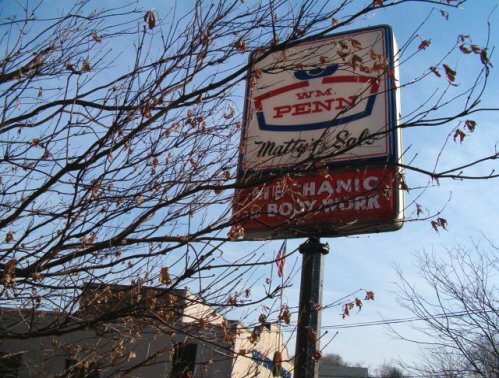 Penn brand remained. In the 1970s, BP purchased SOHIO and rebranded some BP stations in the eastern U.S. to Wm. Penn. The brand remained until around 1990, when they were rebranded to BP. First of four photos of a former Wm. Penn station in Eastchester, New York. Photos were taken on Dec. 22, 2004 by J. Eric Freedner. 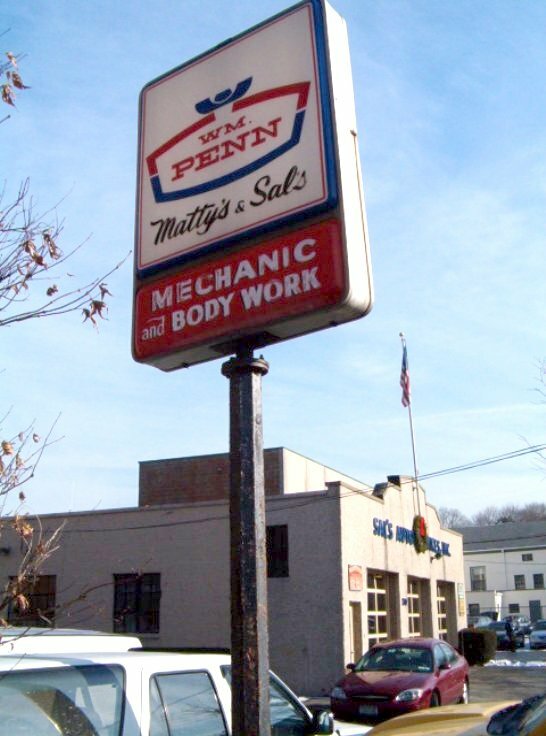 This sign apparently survives because Matty & Sal's Automotive used "co-op" advertising and put its name too on the gas sign. 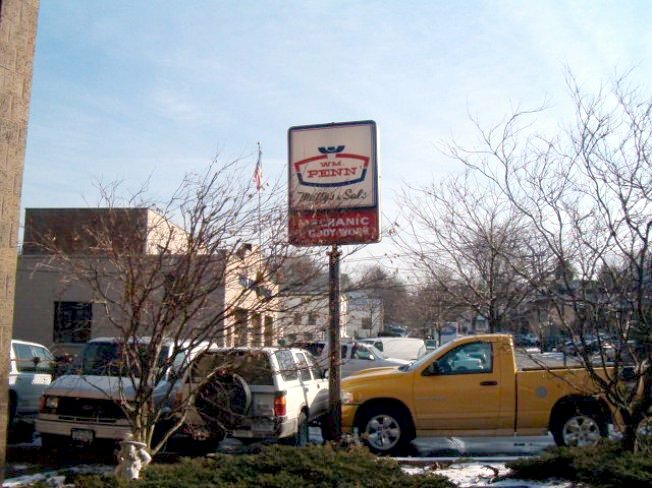 Matty seems to have dropped out of the business, as the building itself is now just Sal's Automotive. Somewhat off the beaten path at 130 Summerfield Street, corner of Brook Street, Eastchester, NY. Photos taken 12-22-04. No gas sold there now; I think it was a Sinclair when I was a kid. All above taken Dec. 22, 2004 by J. Eric Freedner.